Scuba diving gear hire in Melbourne from The Scuba Doctor. Want to go scuba diving in Melbourne, especially on the Mornington Peninsula at dive sites near locations like Rye, Rosebud, Blairgowrie, Flinders, Sorrento and Portsea, but need to hire some dive gear? The Scuba Doctor has a large range of scuba diving rental equipment available, from complete setups, to cylinders/tanks, wetsuits and weights. All of our scuba hire equipment is high quality dive gear and it's available for rental by the day, two days, or week. We understand that not everyone can afford to buy or justify the expense of owning a full set of diving equipment. That doesn't mean you can't dive, though. With our select range of high quality rental equipment available for hire to certified divers, you can take the plunge without denting your wallet. we'll put you in something you'd want to own. Feel free to email us at diveshop@scubadoctor.com.au, or give us a call on 03 5985 1700 to book your scuba rental gear in advance. This way you ensure we have what you need, when you need it. Due to the high volume of divers hiring scuba gear during weekends and holidays, it is highly recommended that you reserve the dive equipment you need. Please Contact Us for availability. When reserving rental dive gear you will be asked to provide your credit card details. If you fail to show up, or cancel within 24 hours, your credit card will be charged. Prices are correct as of 26 December 2016. All prices are subject to change without notice. One day means return by 5 p.m. on the same day hired. Two days means return by 5 p.m. the day after hiring. 7 days means return by 5 p.m. on the sixth day after hiring. Student Discounts: Special discounted scuba gear rental rates are available to students enrolled in diving courses at The Scuba Doctor. We do not hire out masks, snorkels, fins, dive boots, gloves, hoods or dive lights for recreational or technical scuba diving. Bring your own or buy them from us. This scuba equipment is rented for the renters personal use only. Use of BCDs, regulators, cylinders/tanks, computers, or weight belts by non-certified divers is strictly prohibited. You MUST thoroughly inspect all property being hired BEFORE leaving the facility to insure the items are clean, complete, and in good working order. All deficiencies must be noted on the checkout receipt. The renter must treat the equipment in accordance with manufacturers' recommendations and The Scuba Doctor best practice. On the sixth day after hiring for 7 day rates. All rental dive gear must be rinsed with fresh water and be free from foreign matter before it is returned. You can use our cleaning facilities for free. Failure to clean the gear will result in a $25 cleaning fee. The Hirer should notify The Scuba Doctor of any faults or damage on return, or as soon as possible. Details for a current Credit Card will be held as security against all rental scuba equipment. The renter agrees to indemnify The Scuba Doctor from all errors and faults during the use of the equipment and that the use of the equipment, its application and including the failure to use the equipment correctly, is the sole responsibility of the renter. Damaged items are charged at Scuba Doctor Service and Repairs rates. Damaged Equipment: We accept that from time to time small accidents occur and we will judge damage on merit at our discretion. However, the rental equipment is of good quality, and the rental price is kept to a very reasonable level due to our successful policy of only charging the individual who DAMAGES the item rather than a blanket charge to everyone else. Very fair! Certified Divers Only: Scuba equipment is available for rental only to certified divers. Proof of certification is required, so bring your certification card(s). If you can't show us your certification card(s) when collecting the hire gear, you won't be leaving the dive shop with the gear. Before using the renter shall determine the Suitability and Fitness of the products for their intended use. The renter assumes all risks and liability whatsoever in connection with their own test and use. Neither The Scuba Doctor nor Manufacturer shall be liable for any injury, loss or damage, direct or consequential, arising out of the use, misuse or inability to use the rented items. For comfort and a wide range of fit we have a selection of Cressi and Northern Diver wetsuits and BCDs in our rental inventory. We have Faber steel 232 bar cylinders (10.5, 12.2 & 15 litre) plus Catalina and Luxfer aluminium 207 and 240 bar cylinders (S80, 11.1 litre) available for rental. With the weight belts we hire out, we fill all but one of the weight pockets with lead ingots weighing about 2 kg, and put two 1 kg ingots in one weight pocket so that you can fine tune your weighting. Were you to use all of the supplied weight, you'd probably be very over-weighted, given a typical Melbourne diving configuration. It's up to you to adjust the weights in the weight belt pockets to suit your individual requirements. For our guide on how to do this, please read Perfect Scuba Diving Weighting. We do not hire out masks, snorkels, fins, dive boots, gloves, hoods or dive lights for recreational or technical scuba diving. We strongly suggest you purchase these essential items of personal dive equipment. Our dive shop has an extensive range of these items in stock from your choice of many top quality brands. Diving is an equipment orientated sport. 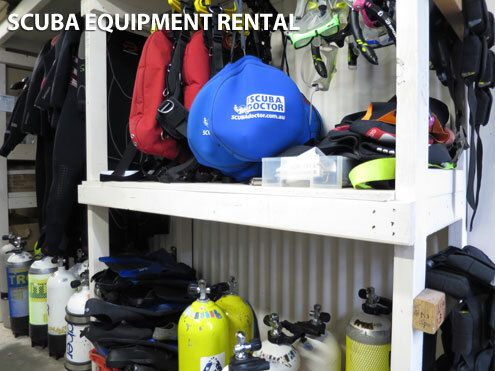 Although we have available rental dive gear, there are some items of equipment that we advise you should consider purchasing. We consider the following personal items and they are not available for hire. Masks: Masks are often kept from fogging up by spitting inside the lens and rubbing it all over the glass. This provides a film that will not allow condensation to adhere to the glass. Would you like to place on your face, or the face of your loved ones, an item that someone else has recently spat in? Snorkels: We do not supply snorkels due to bacterial transfers from saliva from one individual to another. At the end of the day, we care about your health. 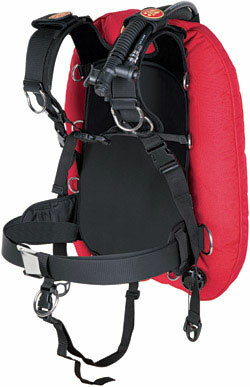 Dive Boots: We do not supply dive boots due to bacterial transfers from feet to feet, i.e. Tinea. Fins: Fins propel you through the water. They must fit your feet comfortably and you must be able to use them effectively without causing cramps. You own your own shoes, why wouldn't you own your own fins? Gloves: Gloves are designed to keep you warm and to protect you from cuts and abrasions. Hoods: Hoods are used to keep your head warm while diving in temperate and cold waters. Wetsuits: Although we can hire you a wetsuit, again we advise that you consider purchasing your own. The reality is that although we take a lot of care in the maintenance of our hire wet suits, we can not guarantee that the previous user did not leave any undesirables in there, or that it will fit you properly. A bad fitting wetsuit will allow cold water to enter and chill you on your dive. Confused? Need some advice? Don't worry. We are here to assist you in choosing the right dive equipment, for your needs and budget. A few extra minutes in the dive store can save a day's worth of diving. If you have any questions about a piece of equipment or how it functions, please ask one of our dive shop staff for help. We will gladly explain the functions of any of our hire dive equipment that you have a question about. We want your dives to be fun, safe, and free from equipment issues.